Work boots? Pair them up with these fully cushioned Work Socks. They feature Coralast abrasion resistance that extends heel to toe (and up over the toes) for top wear resistance. Plus, these Socks have cooling channels and moisture-wicking properties for added comfort. Save the trip to the store and order today! 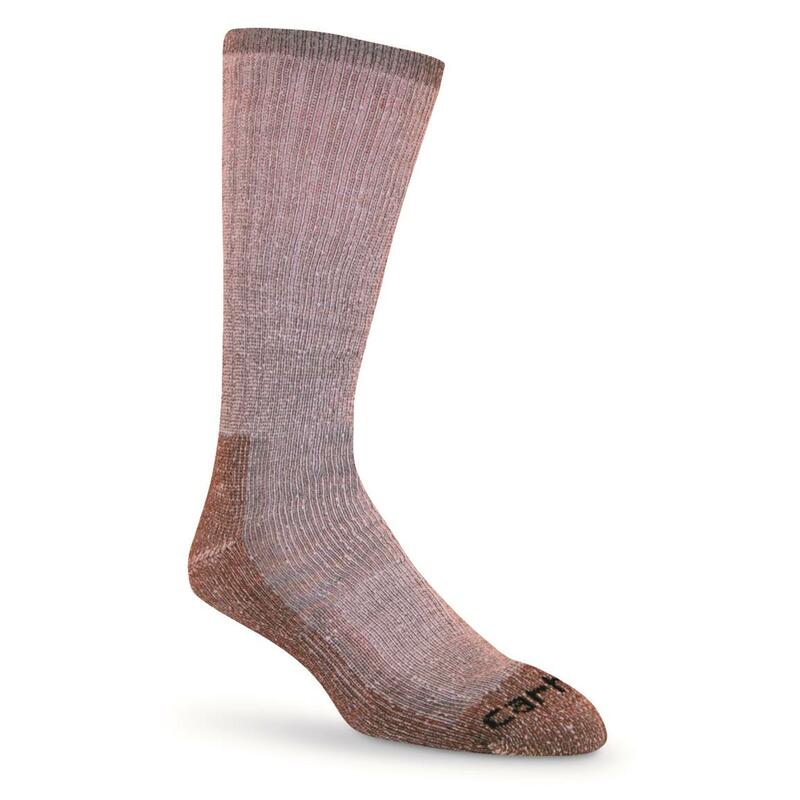 Carhartt Mens Full Cushion Steel Toe Synthetic Work Boot Socks, 2 Pairs is rated 5.0 out of 5 by 2. Rated 5 out of 5 by Charlotte Jim from Very Comfortable Wore these socks on a field trip to a site that requires donning steel toed boots. These are just as advertised and they were well suited for a long day in boots. I opted to go for the Carhartt brand and I'm glad I did. My feet were kept warm and comfortable all day (12 hours). I'm glad I got two packages for the weeks when I'm in the field, will definitely buy again if needed.